Maxime Heroux has won the 2017 World Poker Tour Montreal $3,850 CAD no-limit hold’em main event. 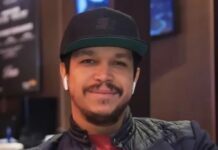 The poker pro and Montreal native defeated a field of 606 entries at his hometown casino, the Playground Poker Club, to win his first WPT title and the top prize of $403,570 CAD ($311,717 USD). The event featured a sizable $2 million CAD guaranteed prize pool, which was just exceeded with the strong turnout of 606 across the three starting flights. In the end CAD$2,057,370 ($1,610,214 USD) was awarded to the top 76 finishers in this event. After four days of action, only 1 percent of the field remained. Pat Quinn lead the final six players into the televised final table, with Herox entering in second chip position. The next largest stack belonged to 2016 Card Player Player of the Year award winner David Peters. Peters had more than $18.5 million in prior live tournament earnings before he made this final table, with huge wins in high roller events and a World Series of Poker bracelet to his name. 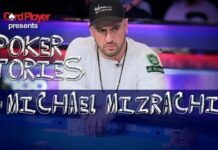 The American poker pro had yet to take down a WPT title, and his ambition to add his name to the WPT Champions Cup in this event remains unfulfilled. Peters lost two all-in pots right off the bat at the final table, doubling up both 2014 WPT Seminole Hard Rock Poker Showdown champion Eric Afriat and Derek Wolters within the first three orbits. Peters was eliminated on the 40th hand of the night when he got his last chips in with KHeart SuitQHeart Suit against Patrick Quinn’s AClub SuitJDiamond Suit and failed to come from behind. Peters earned $60,286 USD for his deep run in this event. This was his 16th final table finish of the year, and the 420 Player of the Year points he earned in this event were enough to see him climb into eighth place on the overall POY leaderboard, which is presented in 2017 by the Commerce Casino & Hotel. Wolters used his newfound chips to eliminate Afriat in fifth place ($73,664 USD) and Brendan Baksh in fourth place ($96,017 USD), climbing into second place in the chip counts behind Heroux. Later on, the two big stacks got involved in a massive preflop confrontation that helped determine the outcome of this whole event. 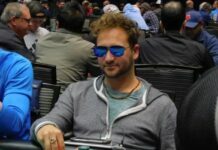 With blinds of 75,000-150,000 with a 25,000 ante, Quinn raised to 350,000 from the button and Heroux called from the small blind. Wolters then raised to 1.2 million from the big blind. Quinn folded, but Heroux elected to shove for just under 7.5 million. Wolters made the call and was at risk with the ADiamond SuitKHeart Suit up against Heroux’s 7Heart Suit7Club Suit. The board ran out QSpade SuitJSpade Suit9Diamond Suit2Club Suit2Spade Suit and Heroux’s pocket pair held up, earning him the pot and sending Wolters to the rail in third place ($133,795 USD). Heroux took a sizable 4-to-1 chip lead into the final showdown with Quinn. The heads-up battle lasted only 15 hands, with Heroux able to keep up the pressure and eventually got all-in on a flop of 6Diamond Suit5Diamond Suit4Club Suit with the 4Diamond Suit2Diamond Suit up against Quinn’s 9Diamond Suit7Spade Suit. The 2Spade Suit on the turn and the 2Club Suit on the river gave Heroux a full house to lock up the title, eliminating the restauranteur in second place.